For the first time this year, Brie Leftwich will be performing as both a Spanish lead and Candy Cane lead in the show. Cherry Hill High School West sophomore Brie Leftwich has performed in a number of shows as a dancer with South Jersey Ballet Theatre. Leftwich has performed in the show for nearly a decade with South Jersey Ballet. 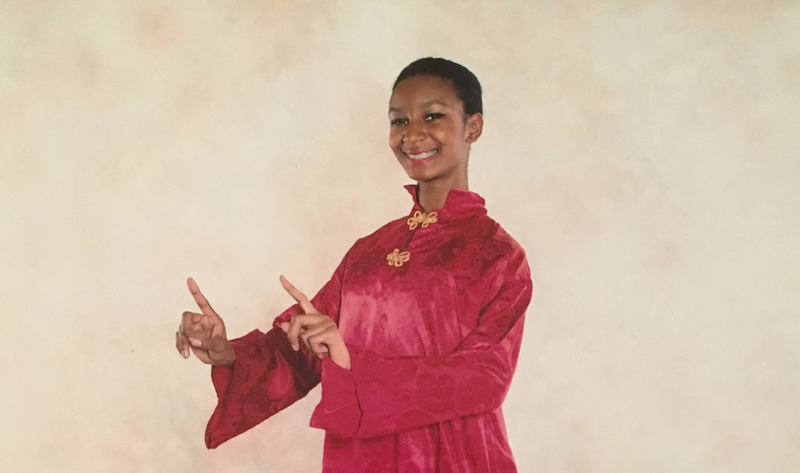 This year, she is taking on an even bigger role as she prepares to dance as both the Spanish lead and Candy Cane lead in SJBT’s production of “The Nutcracker.” The show opens on Dec. 16. Over the years, Leftwich has played a number of roles. Her first role in “The Nutcracker” was a clown. She has also been a sugar plum attendant and soldier in the show. As the years went on, Leftwich began to enjoy the show even more. A big reason for her love of the show is the different types of music. The show features a combination of fast music as well as slow, elegant numbers. Leftwich has also taken on increasingly bigger roles as the years have gone. This year is the first time Leftwich is performing as both the Spanish and Candy Cane lead. “I’m definitely very excited to do it,” Leftwich said. Leftwich said being a lead isn’t too difficult. The most important thing for her is making sure her technique is flawless. Leftwich also acts as a leader for the cast’s younger dancers. With “The Nutcracker” featuring performers as young as 5, Leftwich will sometimes act as a calming influence for some of the younger cast members. Leftwich admits she still gets nervous, especially prior to going on stage. Leftwich has always able to overcome her nerves and is proud of how she has developed as a dancer. She plans to continue dancing at least through the end of high school and possibly into college. Leftwich can be seen in South Jersey Ballet Theatre’s “The Nutcracker” on Dec. 16, 17 and 18 at Voorhees Middle School. Showtimes are 7:30 p.m. on Dec. 16, 1 and 4:30 p.m. on Dec. 17 and 2:30 p.m. on Dec. 18. To purchase tickets, call (856) 222–2849 or visit www.southjerseyballet.com.